Located in southeastern Manatee County and northeastern Sarasota County, Lakewood Ranch is the second best selling master-planned community in the U.S., and for good reason. Covering 5,500 acres, it features miles of trails, parks, championship golf courses, a sports campus, and all sorts of exciting events. 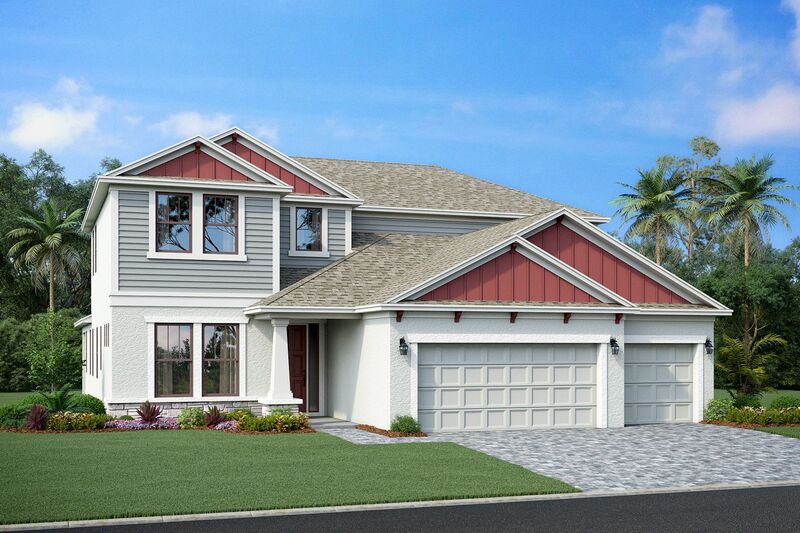 Woodleaf Hammock is an amazing M/I Homes community within the award winning Lakewood Ranch community, boasting 91 single family homesites which are nestled into a landscape dotted with lakes and nature preserves.? Behind this gated entry, you'll find a pool, pavilion, tot lot, and pickleball courts along with our well designed Spring Series of homes on spacious homesites. Our Landmark Series appointments highlighted by tile roofs and pavers are only a few features that create a one-of-a-kind value neighborhood. Students will be part of the A-rated local school district, and the entire family will love living in this highly desirable location. A beautiful new onsite Design Center makes it easy to turn your new home into your dream home, and we're pretty sure once you settle in here, you'll never want to leave.